ZP are delighted to distribute AMF. 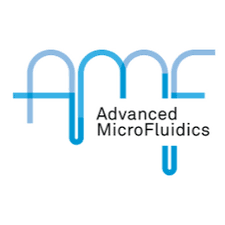 Advanced Microfluidics are experts in automating miniaturised liquid handling, where miniature implies from nanoliters to milliliters. As pioneers in the revolutionary link between microfluidics and automation, they bring a field, long considered as purely academic, into the industrial sector. With their innovative solutions, we strive to keep our clients satisfied by delivering high-performing and quality products, they aim to be the new reference for industrial microfluidics.